Guidelines for the most common situations encountered by authors and editors. Updated reference examples, including including online sources. 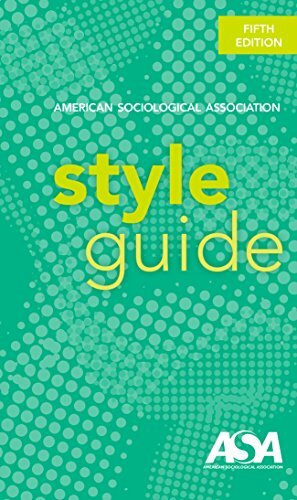 This guide is based on the 16th edition of The Chicago Manual of Style, on which much of ASA style is based. These basic tools can help begin the formatting process but often require additional input and editing by the user. Search your article or book title, continue to create ASA in-text and Bibliography page formats that can be copied and pasted into your document. Creating an account is optional. Search for American Sociological Association in the style selection box.